From Skratch TV and the Museum of Science and Industry in Chicago to the Ryder Cup and Times Square in New York City, CDW’s brand marketing initiatives elevated awareness and generated excitement across compelling platforms and many markets in 2018. 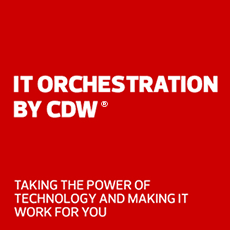 CDW’s marketing programs highlighted its IT solutions and services capabilities, philanthropic commitments and values. View the photos and click on the videos to see highlights from 2018 and learn more.